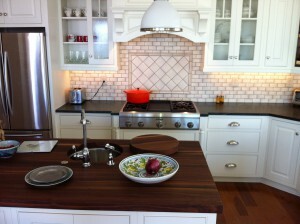 Soapstone is a great mix with wood butcher block. A practical and clean look. 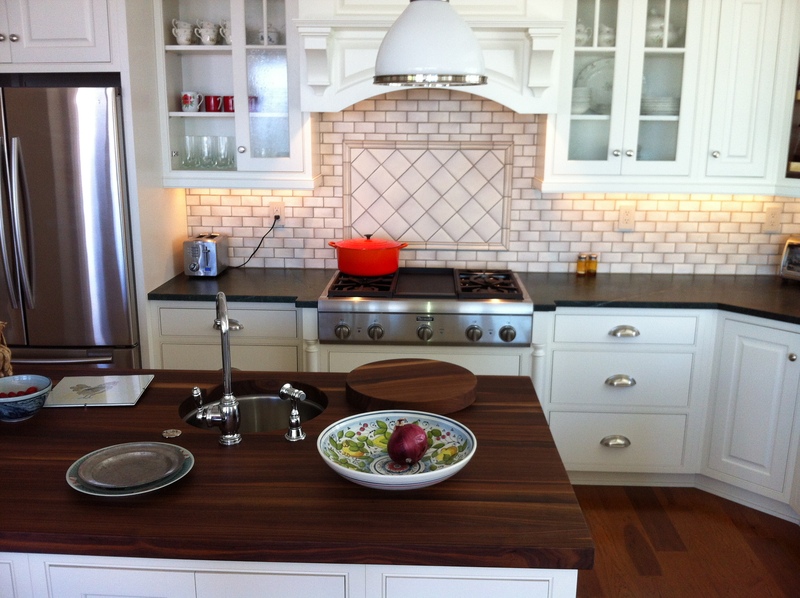 This kitchen has a verde minas soapstone counter surrounding a maple butcher block island. Yes! 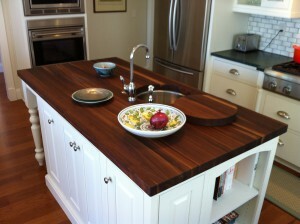 Soapstone Werks can make a beautiful wood top for you as well. 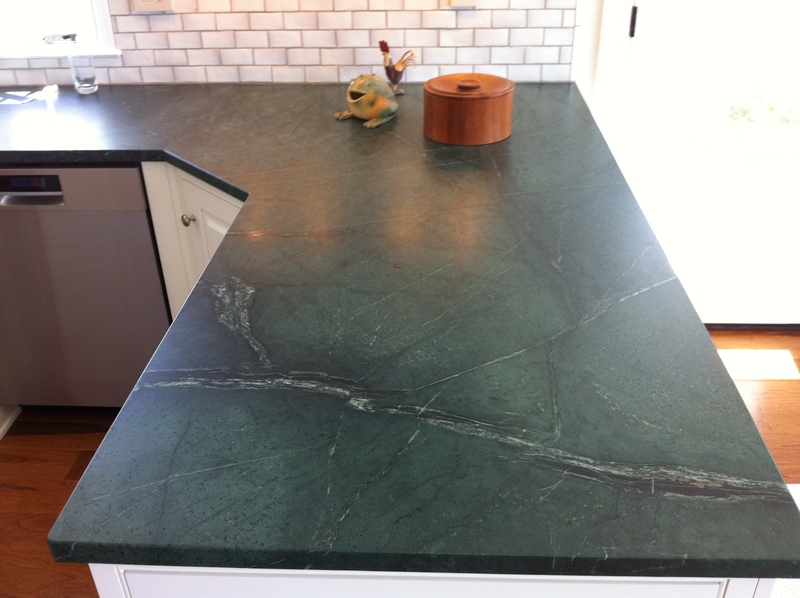 We absolutely love our soapstone counter top. It’s rich look, unique veins adds so much to our kitchen. We are very happy with our decision to go with soapstone and have been very satisfied with the great customer service of Soapstone Werks employees. The office staff was very good and installation excellent. 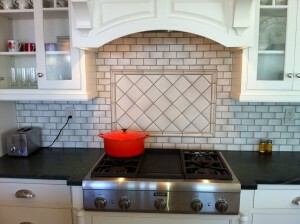 Our favorite things about soapstone is our drain board, stove back splash and the unique look. We have had no problem with the maintenance of our soapstone. We would recommend both soapstone and Soapstone Werks to our friends.